Also known as Athlete’s Foot is a fungal infection of the skin. Skin on the feet may become red, itchy and/ or peel in areas of the feet. Fungal infections thrive in warm, moist areas, like in closed in shoes. If not treated, tinea may get worse or spread to other areas.This is of particular concern if the feeling in your feet or your circulation has been affected by diabetes for example. Also the infection can spread to others that have contact with the infection. At Healthy Feet Happy Feet, we are able to identify tinea and provide advice on treatment and future prevention. Fungal nails are often unsightly and may become thick and cause discomfort. At Healthy Feet Happy Feet we are able to identify fungal nail infections and provide advice on treatment, preventing the spread of the infection and preventing reoccurrence once resolved. Thick nails are often unsightly, uncomfortable and difficult to cut and care for. At Healthy Feet Happy Feet we are able to provide treatment to reduce the nail thickness. Cracked, fissured or rough heels may look unsightly. Did you know that an infection entering a crack in your heel could become a serious health problem? This is of particular concern if the feeling or circulation in your feet has been affected by diabetes, for example. At Healthy Feet Happy Feet we will remove the rough skin and provide advice on how to prevent cracks and slow or prevent the return, keeping your heels looking healthy and smooth. Corns and Callus/ hard skin. Corns are usually caused by pressure. Corns may appear under the feet, especially the balls of your feet, on the toes where shoes cause pressure and even between the toes if they are pushing on one another. The area becomes hard and very painful. It may feel like a tiny stone or seed pushing into your skin. A corn may become a serious health problem if left untreated as the healthy skin under the corn may be damaged. This is of particular concern if the feeling or circulation in your feet has been affected by diabetes, for example. At Healthy Feet Happy Feet the entire corn will be removed and advice in the prevention of the corn reoccurring, will be provided. Callus (hard dead skin) occurs in areas of pressure or friction. The area may become hard and painful. Callus may become a serious health problem if left untreated as the healthy skin under the callus may be damaged. This is of particular concern if the feeling or circulation in your feet has been affected by diabetes, for example. This is a trusted podiatry Ingleburn practice that can supply experiences diabetic support. Foot and lower leg pain. 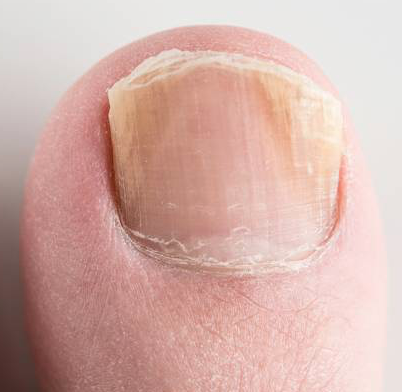 Ingrown or ingrowing toenails may be extremely painful. The area may become red, hot, swollen, pus may be present and the area may even bleed. Sometimes an ingrowing nail may be due to a nail spike being left at the sides of the nail whilst trimming your nails. Some people actually have nails just that grow into the skin and some walk in a way that pushes the nail into the skin. In any case, Healthy Feet Happy Feet can remove the offending piece of nail to relieve the discomfort. Advice will be provided in an attempt to prevent reoccurrence. In cases where a permanent treatment is required and is appropriate, Healthy Feet Happy Feet will permanently remove the side of the nail causing problems under a local anaesthetic. A chemical is then applied to prevent the nail regrowing. Plantar warts are caused by a virus that enters the skin. They may be painful when pressure is applied to the area whilst walking etc. The warts often spread not only to other areas but to others in contact. Plantar warts may be stubborn to treat therefore the earlier you seek treatment, the quicker resolution will be. Therefore, Healthy Feet Happy Feet will identify the plantar wart and prescribe the most appropriate treatment for your case. Foot and lower leg pain, abnormal walking patterns, frequent tripping and falling, footwear advice, toe-walking, in-toeing, flat feet, bunions, warts, nail problems. Diabetes may affect the feeling and/ or circulation in your feet. At Healthy Feet Happy Feet a thorough diabetes foot assessment will be undertaken at least every 12 months, Your blood flow will be checked with a Doppler ultrasound and the feeling sensation in your feet will also be checked. Footwear and foot care advice will be provided. If any changes are noted, Healthy Feet Happy Feet will advise you on how to care for your feet to do the best to prevent any diabetic foot complications.